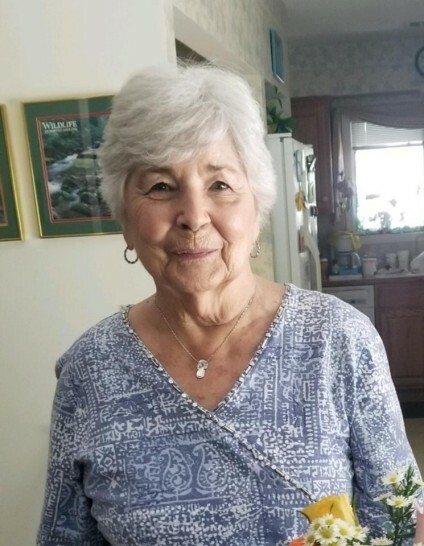 Imogene Tolley Royal Goldston, 91, of Wilmington, formerly of the Sedgefield Community, passed away Wednesday, March 20, 2019, at Lower Cape Fear Hospice in Wilmington. Born July 14, 1927, in Guilford County, she was the daughter of the late Charles Douglas Tolley, Sr. and the late Rosa Stewart Tolley. Mrs. Goldston was a homemaker and a member of Sedgefield Presbyterian Church. She is survived by her husband, James Edward Goldston of Wilmington; son, Bruce Royal and wife Susan of Greenville, South Carolina, and Joey Royal and wife Marsha of Banner Elk; daughters, Karen Underwood and husband Joey of Greenville, South Carolina, and Sandra Dodd and husband David of Thomasville; grandchildren, Bryan Royal (Valerie), Amanda Snipes (Kyle), Dustin Allred (Terri), Lindsay Hance (PJ), Madison Underwood, Brooks Underwood, and Whitney Royal; great-grandchildren, Brayden, Drew, Hudson, Davis, Bryce, Leah, Bailey, and Fern. In addition to her parents, she was preceded in death by her first husband, Robert Bruce Royal, Sr.; and five siblings. Services will be conducted at 2:00 PM Saturday, March 30, 2019, at Sedgefield Presbyterian Church with Rev. Kim Priddy officiating. Burial will follow in Guilford Memorial Park. The family will receive friends from 1:00 PM until 1:45 PM prior to the service.